This is one question I get asked a lot. This question is very difficult to answer with a straight yes or no answer. I can’t say yes, because I know that being stressed directly can’t cause acne. I also can’t say no as I know that if you do have acne, stress is not really helping your skin. Being stressed is not good for your skin, whether you have acne or not. First, though, think about it. 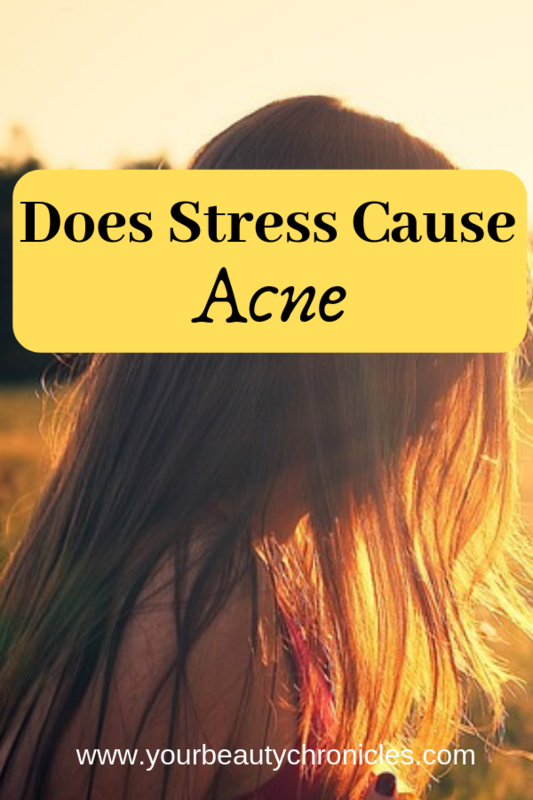 If stress caused acne, most people living today would have acne. We know for a fact that it is not the case. We have people who are under a lot of stress who have skin that is amazing. So what do people mean when they ask “Does stress cause acne?” Such a question is often asked by someone who already has acne and they are trying to find the cause of their acne. They feel that if the answer is a simple yes, they can somehow try and reduce their stress and that will make their skin clear up. In a way that makes sense. Remove the offending factor, in this case, stress, and your problem, in this case, acne, goes away. Stress directly is not responsible for your acne. I know a lot of people who are super stressed. And I mean super stressed and frazzled, but they have the most amazing skin. Stress is a very instinctive response. That means you really don’t have much control over it. Notice I said “much” control. I did not say “any” control. We’ll talk about what this means later though. Say you’re walking alone at night. Your cab broke down close to home and instead of waiting in the cold for another one, you decide to walk the last few metres home. You pull your jacket together and start walking. Halfway home, you hear a sound behind you. You keep walking. Your heart starts beating a little faster but you walk faster. You then hear the sound again, this time much closer. It sounds like footsteps. You look behind. It’s too dark to see much. You carry on walking faster. Your heart is really beating fast now. You remember all the stories you have heard about people being attacked while walking home at night. Then you hear the sound again and this time just behind you. You whip around, only to see that a cat has been following you. Not an axe murderer but a lost cat. You almost fall to the ground in relief. Now, what happened when you heard the sound first? The sound you heard in the dark gives your brain a signal that danger might be near. Your brain signals your body and stress hormones are released into your bloodstream. The stress hormone is called cortisol. These stress hormones make your heart race which increases blood flow to your limbs. What your brain is trying to do is make your body ready for a fight or flight. Say it was an axe murderer who was following you. Now either you fight him or you flee from him. I think fleeing would be a better option as you can hope then that the axe he carries would slow him down. However, whatever option you go with your body is ready for it and pumped up to do what is needed to keep you safe. When you saw that it was a cat and that there is no danger, your body went back to normal. Your heart rate went down and you felt calmer again. However, this flight or fight response also gets triggered in everyday situations such as traffic or at work. City life is filled with tiny little things that all have the potential to stress you out. And what is worse is that these things do not go away. They are constant and more like a part of life these days. The bad news is that it means that stress hormones are continuously being pumped into your bloodstream. 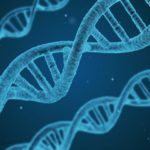 Since stress hormones are pumped into your body to make you ready for a fight or flight, they are meant to be in your body till the danger or the threat to your life has gone away. Traffic never goes away. It is always there and gets worse rather than better. It’s like an axe murderer is always chasing you. So what happens when you are continuously stressed out? The continuous presence of stress hormones in our bodies makes our immune system weak. This means you are more prone to get sick and to suffer from chronic inflammatory conditions. One of these chronic inflammatory conditions is acne. Now as I said earlier not everyone who is stressed has acne. Stress alone will not give you acne. Acne is a combination of a lot of factors – skin that does not shed properly, blocked pores because of the dead skin, excess oil, bacteria etc. Now the job of your immune system is to fight the acne. But when your immune system is not working at it’s optimum you’re in for a lot of trouble. The chemical reaction caused in your body due to constant stress hormones or cortisol makes your skin sensitive. If you have skin issues, it will also be harder for them to heal. The stress hormone cortisol also makes your skin more oily. As we know oily skin is much more prone to acne. If you are stressed your skin will also have a red flush on it. Now, since cortisol is a hormone, it can also disrupt the hormonal balance in your body. This hormonal imbalance can lead to acne. Stress can also disrupt your digestion which can also lead to acne. Now if you have acne, that fact alone is enough to stress you out. To top it all, you’re probably left wondering if the stress you have due to acne is making your acne worse. If you remember I said before that you do not have much control over it. The reason I used the word much is that you can bring down your stress to much more manageable levels. While it is almost impossible to completely eliminate stress, it is within your grasp to reduce it or learn how to deal with it. Below are a few tips on how to reduce stress. Meditate every day. It has been shown to reduce stress. Download Headspace which is an app which helps you meditate. Whenever you start to feel anxious or stressed practise deep breathing. You will not feel relaxed immediately but done over time you will feel calm immediately after. Take a walk through a scenic route at least 3 times a week. Keep some time aside every day to do something you like. It can be anything. Even if you just want to sit and stare at the walls that is okay. It will help. Even 10 minutes set aside for yourself every day helps a lot. Exercise 4-5 times a week. Take up a yoga class 3 times a week. Yoga helps you stretch out and relax any muscles that may be stiff. Get a massage once a month. Or more than that if you can manage it. 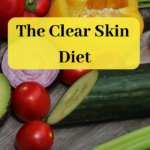 Besides trying to reduce the stress you feel every day here are a few alternate things you can do which will be extremely helpful in healing your acne. Drink a lot of water every day. Not tea, or coffee or soft drinks. Just plain water is great. Add a cup or 2 of green tea or green juice to your diet every day. Alternate between them. Cut out excess sugar and salt drastically from your diet. If your diet consists of doughnuts and chips, it’s time to think about the food you put into your body. Eat water-rich vegetables like cucumbers, tomatoes and beets. Place a towel dipped in cold water on your face at the end of the day. Keep it on your face for about 10 minutes. It will help your face heal and bring down redness. Never use hot water on your face. So try to reduce stress whether you have acne or not. Of course, there will be times when stress is just unavoidable. In those times just try and take care of your body by eating well and resting as best as you can. In times of stress taking care of yourself too becomes a bit hard. Let me know in the comments what are some ways you deal with stress. Does Chocolate Cause Acne Or Not?